Available in an array of colors, including including neutrals, pastels, and rich jewel tones, this beautifully constructed swag will enhance both formal and contemporary decors. 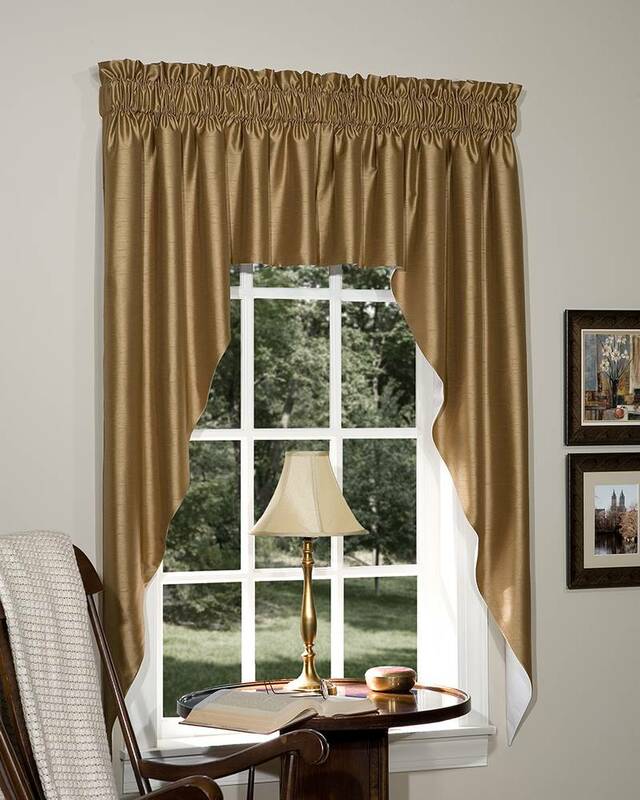 Hang alone for windows up to 60" wide (as pictured above) - or combine with Silkara Lined Tailored Insert Valances to cover wider windows. (Insert valances between the right and left swag panels.) Fully lined for protection from harsh sun. 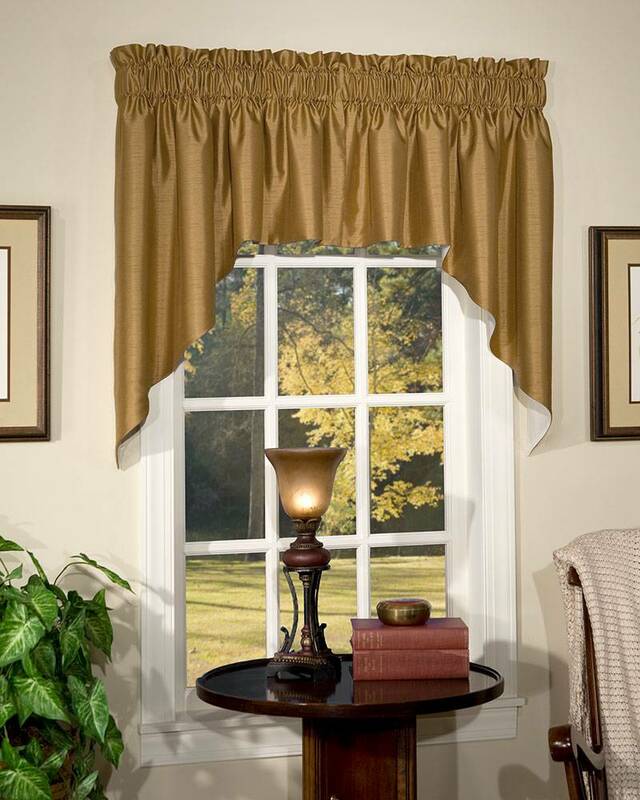 A Pretty Windows exclusive, Silkara Lined Tailored Swags are made in the USA.